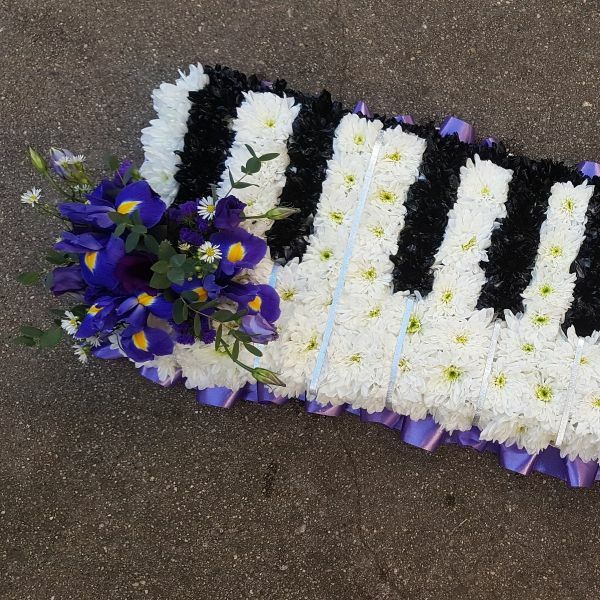 Our bespoke replica of a keyboard or piano, a fitting tribute for a musician or music lover. Finished with a co-ordination cluster of flowers in the colour of your choice. Approx 20 inches / 50 cm in length.